Remember a couple of days ago when we were telling you about the Xbox games on demand service. Well we have found another gem there in the form of Resident Evil 6. The zombie infested horror game has been reduced to the cheapest price that you will ever see. For a game that is reasonably new, and was only released in October 2012, this is very promising. 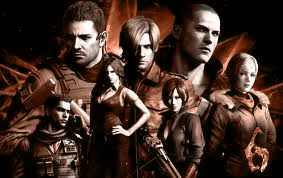 You can get Resident Evil 6 on Xbox Live for an astonishing £8.99 as from today. We don’t know if this offer is a temporary one or fixed for the foreseeable future. So just in case the offer is not up for long, you better hurry and get the game now if you want to make a massive saving. We will have more of the games on demand Xbox live sales and offers all the time on our site. So make sure you look out for them to maybe get the video game that you always wanted at a rock bottom price.